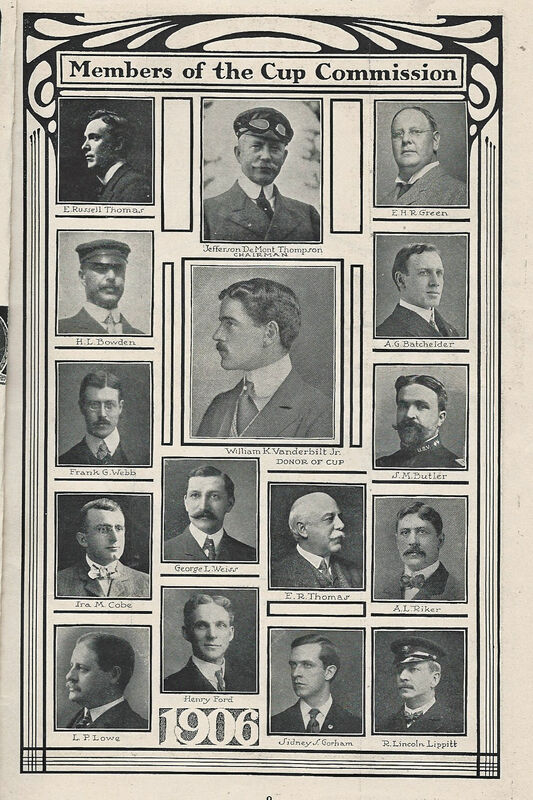 What were these drivers preparing to do in this photo? 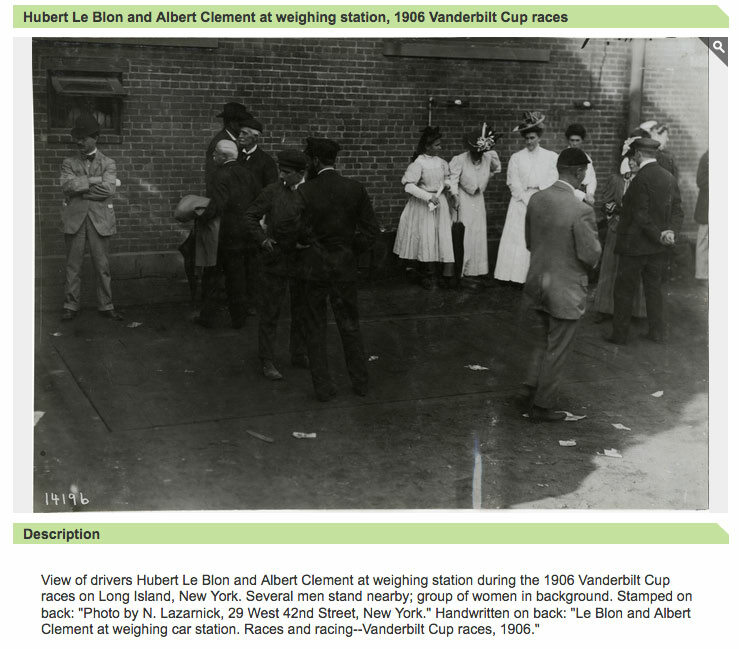 They were appearing at the weigh-in with their racers the day before the race on Friday, October 5, 1906. 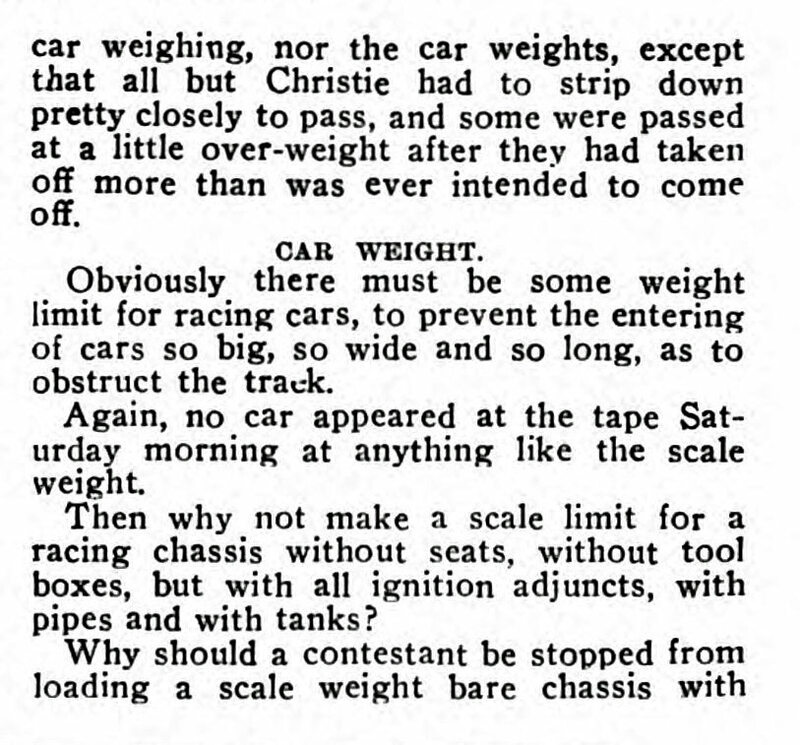 According to the 1906 rules, the race cars could not weigh more than 2,204 pounds. 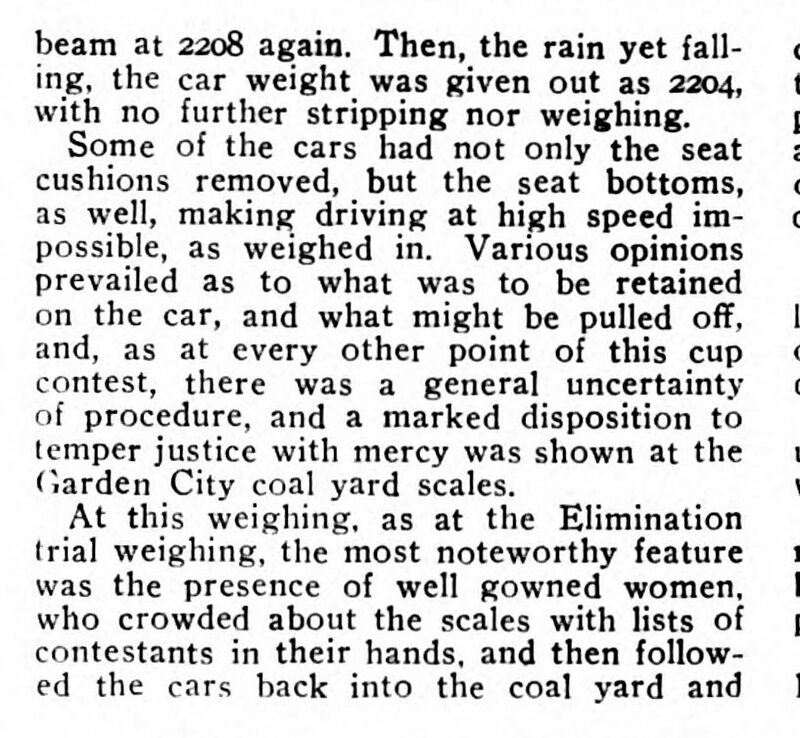 The scales were located at the "Garden City Coal and Wood Yard". Does anyone know the address? Update 3/4/2017: See below map. Congrats to Art Kleiner, Ariejan Bos and Gary Hammond for identifying Hubert LeBlon and Albert Clement Jr. at the Garden City weigh-in. 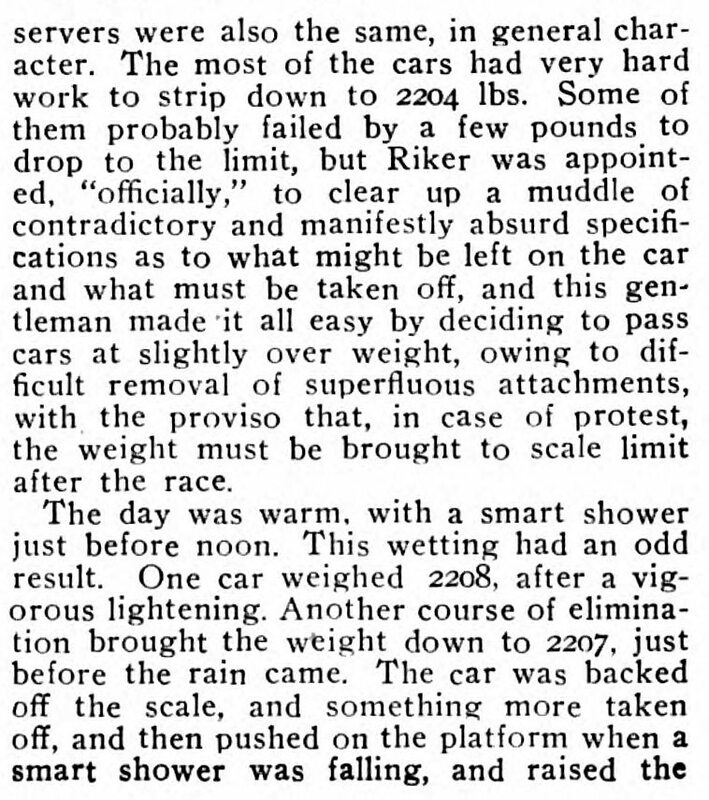 Kudos to Art Kleiner and Ariejan Bos, who both submitted the below November 1906 issue of Cycle and Automobile Trade Journal documenting the 1906 weigh-in. 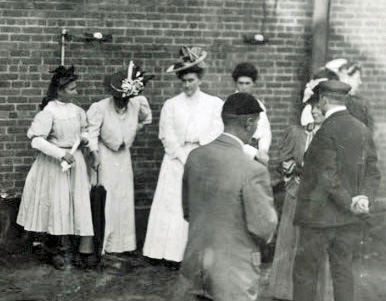 "...the most noteworthy feature was the presence of well gowned women, who crowded about the scales with lists of contestants in their hands, and then followed the cars back into the coal yard and clustered about them while they were being lighten by heroic stripping. 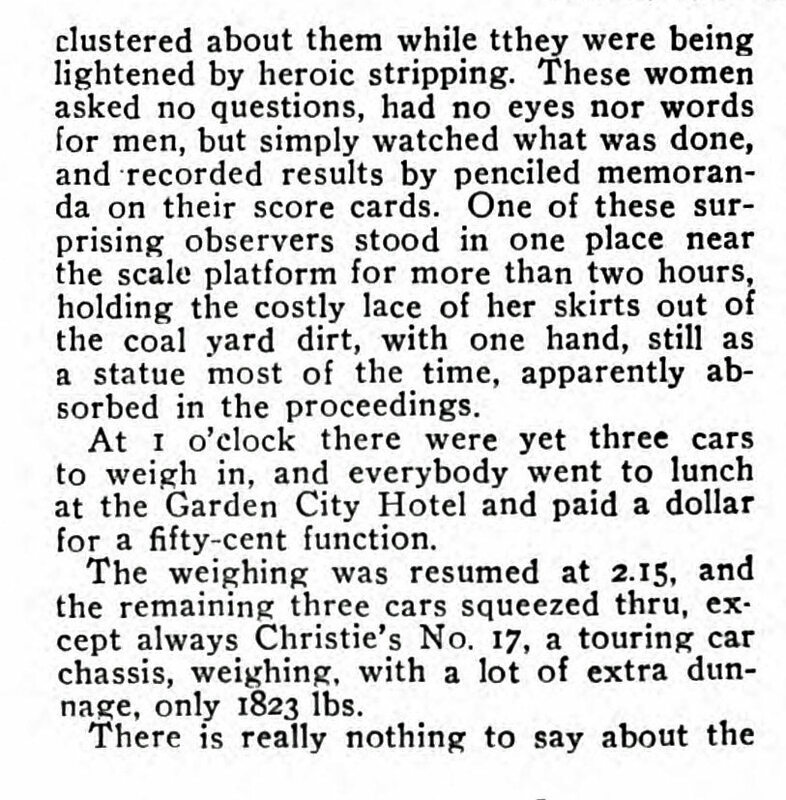 These women asked no questions, had no eyes nor words for men, but simply watched what was done, and recorded results by pencilled memoranda on therir score cards." 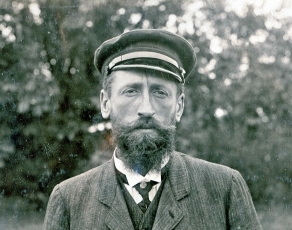 See article below. Submitted by Brian McCarthy: Howard. I was trying to locate where the “Garden City Coal and Wood Yard” might have been located. As you will notice, I circled the “Coal Elev. & Silos” in blue. Perhaps this was the location. You’ll see that I penned in some current rds., etc. in either black or red. My penmanship isn’t the greatest, but I guess my writing sort of matches the rest of the map. The “P.O.” refers to the Post Office on Stewart Ave. I remember the rear entrance from where Commercial Ave curves, then crosses the tracks. 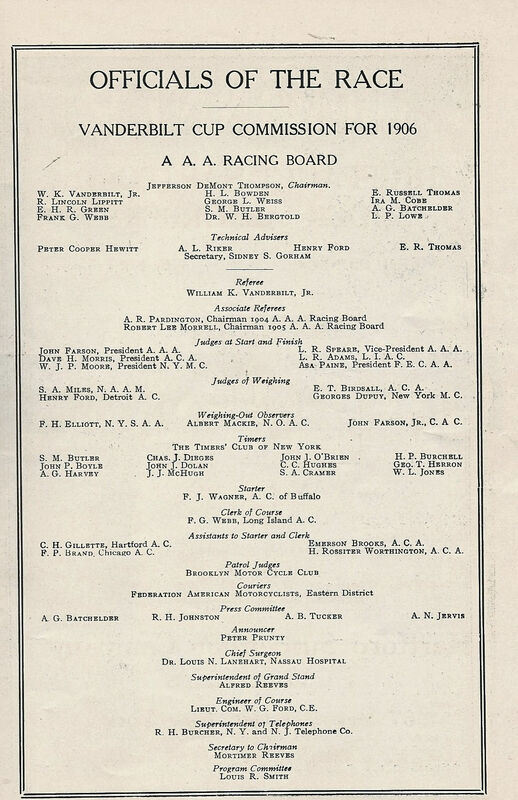 "Henry Ford was at the scale beam..."
Henry Ford, representing the Detroit Automobile Club, was a member of the 1906 Vanderbilt Cup Commission. 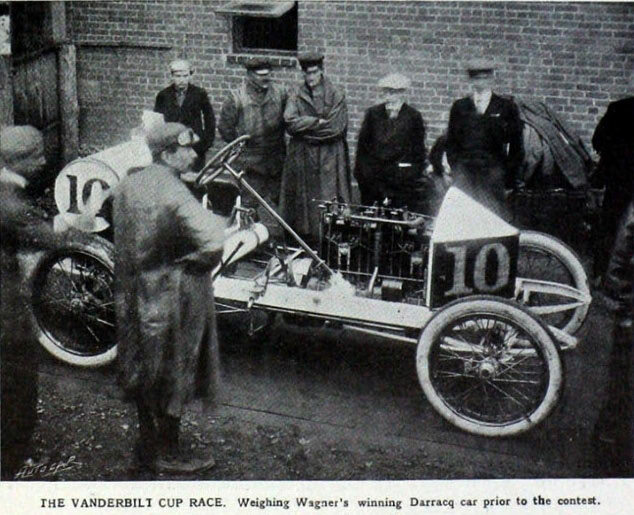 Ford was a judge of weighing at the 1906 Vanderbilt Cup Race. 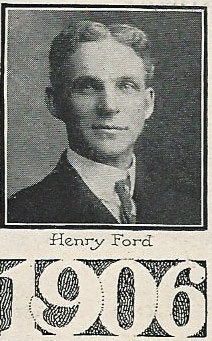 Two years later, he would introduce the Ford Model T.
Was the image of Henry Ford captured at the Garden City weigh-in? That looks like Felice Nazzaro and Hubert LeBlon with his back to the camera. Unsure of the where and why…. Since my attempted research only led to dead ends, I’m going with a few wild guesses. 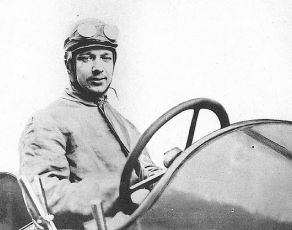 The two drivers look somewhat like Hubert LeBlon and Felice Nazzaro. They appear to be standing on a large commercial scale so maybe they are waiting to have their cars weighed for qualification. I believe there was an official scale somewhere in Albertson. Can’t wait to find out the real answer. 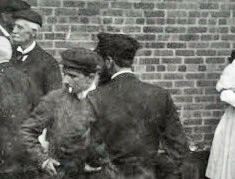 The drivers are Le Blon (with beard) and Albert Clément, waiting for their cars to be weighed in. They are standing on the weight bridge. 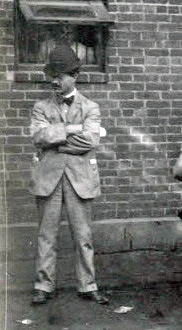 The location was at the Garden City coal and wood yard. Hello all. 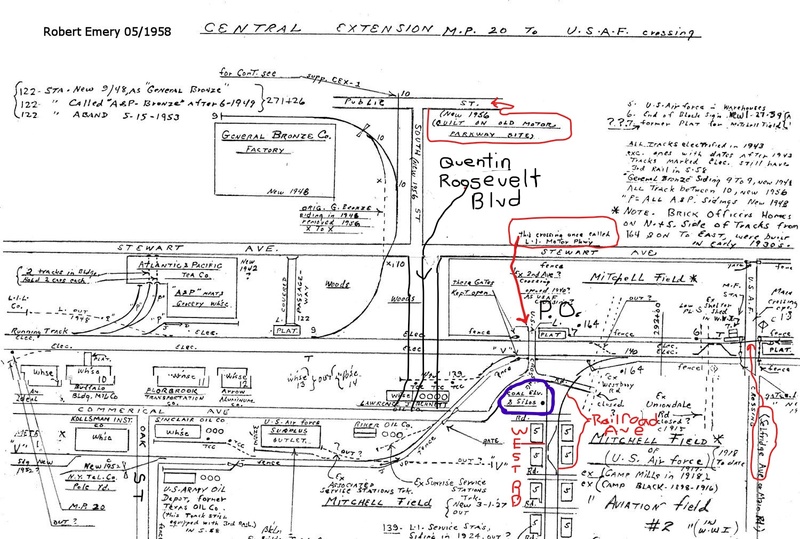 The map/sketch that I submitted to Howard that he posted here is probably not the location of the Garden City Coal and Wood Yard. 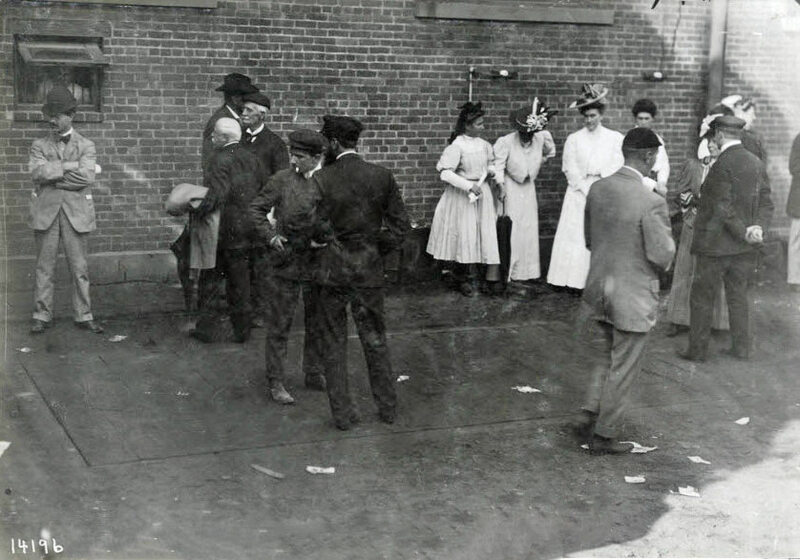 I searched for the location of this yard again via “nyshistoricnewspapers.org”, Nassau County. 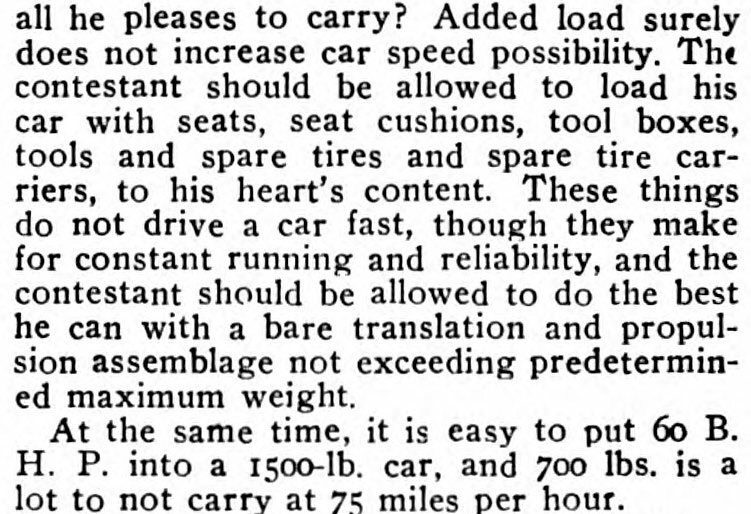 Found a page within “The Garden City News” year 1923. An advertisement for “The Garden City Coal Co.” is displayed as #2 Franklin Ave (next to Porrier’s Corner). I believe this is the actual location of the Yard. Then I had to search Porrier’s Corner on Howard’s site here. 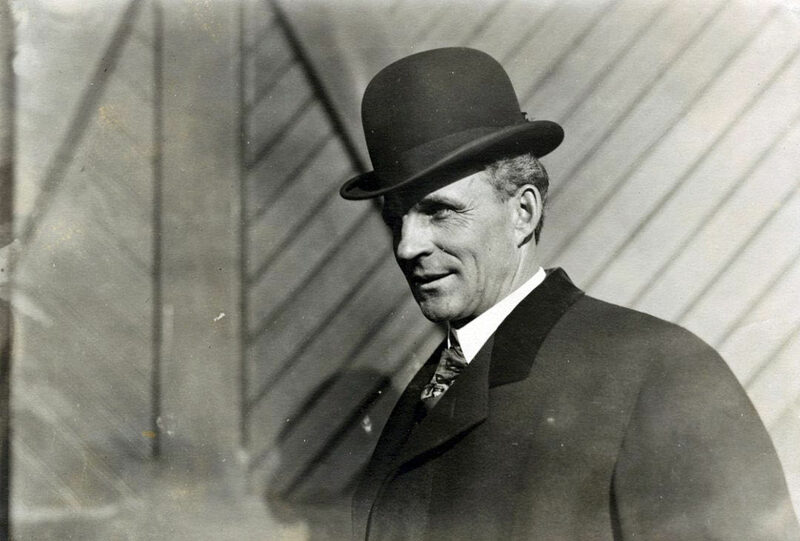 The search led me to a past blog “Mystery Photo#15, 4/13/15. Art Kleiner provided some nice old aerial views of Porrier’s Corner within that blog. Thanks Art, you always come through.